What is the perfect bait to hook and reel in prospects to customers? Used in the right way, sales demos can showcase how bodacious your product/service truly is and why it is the right knight to save the prospect’s business. Here are 9 fail proof actions to do a sales demo. A lot of sales people, from veterans to rookies, make the mistake of jumping on to a demo in the first instance. They feel that showcasing their demo at the earliest, will clinch the deal or that it is the perfect alternative to pitching. However, if you don’t prep up your prospect before the demo, it will just be an entertainment show for him. Remember that your product or service won’t sell itself. Thus, it is important to do your groundwork with a tenacity that leaves Sherlock Holmes behind. Find out their pressing needs or pain areas, ‘talk’ about how your product or service will address them in a meeting or two and then offer to demonstrate to backup your claims. Also, it helps to understand how ‘ready’ they are to invest in their solutions. What better way to understand this than your previous interactions? Thus, it is vital that you spend time on personal one on one interaction with your prospects before unraveling your demo. Take intelligence from your CRM solution and garner insights from social feeds etc. Trust us; it is worth your patience! Taking care of these aspects early on will help avoid unnecessary hiccups during the actual demonstration. Practice until you can deliver a Ted Talk level demo on auto pilot. Regular practice will hone your presentation, communication and product knowledge. It will help you avoid the dreaded ‘read from the screen’ syndrome. For added voice richness, you can learn some basic vocal exercises by Julian Treasure. (Note: Better do these exercises in a private space!). However, it pays to remember that demos are not just plain presentations. In presentations, there is only a single aspect of delivering/sharing knowledge with the audience, that’s it! Prospect reaction to your pointers. Trying to establish personal connect between your service, the prospect and you. Just like a skilled juggler, you need to flawlessly execute these aspects, ensuring they don’t go out of hand. A minimum of three practice sessions is recommended. Life is unpredictable and so are business appointments. Here are some steps that you can follow to minimize uncertainties. Step 2: Ensure that the calendar invites has all the required details; including the dial-in information (check and double check it). Step 4: Login/Dial in five minutes before the call (to ensure that the numbers work) and welcome the other participants to the demo! Don’t wait until the last moment, be proactive and show the prospects that you are thorough with your preparations. You want a strawberry ice-cream with tutti fruity. However, you are offered a plain vanilla, but with a promise of tutti fruity strawberry special! How will that make you feel? Disappointed and doubtful about the promise. This is exactly how your prospects feel when you demonstrate a vanilla service/product, in spite of knowing their industry, requirements etc. You are eager to tackle the prospect’s problems. Before we continue, let me recreate what I believe is your problem area. I am confident we can correct your process. Allow me to demonstrate how, with our product/service. Use ‘you’ and ‘your’ as much as (reasonably) possible. There is a reason why influencers, parents and religious texts use stories to convey their messages. Stories stimulate imagination. It gives an outlet to people to use their creativity, which they may not to use often. Thus, we recommended you use the power of stories (the more real, the better) to put across your key selling points. Weave a story where the prospect plays the role of the protagonist and your product/service is his main weapon. Imagine that your sales manager, who usually outshines his peers, is struggling to meet his numbers off late. The sales team as a whole is taking a hit. You can simulate healthy competition by gamifying your process, motivating through points correlated to mouthwatering tangible rewards etc. Additionally, you can make it easier for him to track his sales people, set up quick meetings and delegate tasks quickly via geo tagging etc. Focus on narrating a story that; has big pain areas, relates to your products/service and nudges the prospect towards an action (detailed in the next point), that’s it. This will help you speed up your demo. Your prospect is smart enough to figure out the nitty gritty of your product/service by himself. If he is stuck, he will ask for help. Don’t just assume that you have to hand-walk him through minute details like (just an example) type in the username, password etc. Any demo is wasted if it doesn’t include a call to action (CTA). If your demo purpose is to get the prospect to sign the purchase order stage or set up a meet with an additional influencer, shouldn’t you at least invite the prospect to act? You can summarize what is needed from the prospect’s side like budget; further meetings etc. and verbally ask for the same. Input the confirmation in your CRM solution. Don’t leave it to chance that your prospect will be impressed, and himself initiate the next step. Be proactive! The face of a true sales pro! 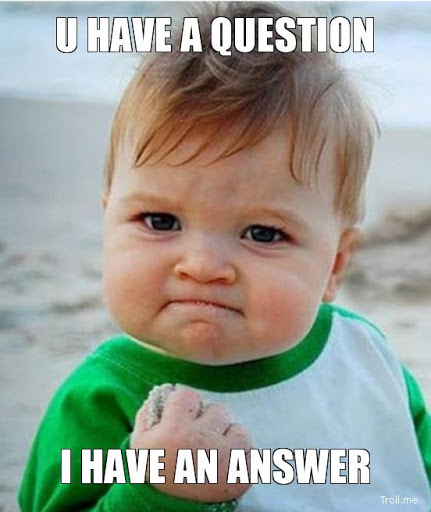 The final stage which many sales people dread and sales pros love: Q&As. Always answer prospect’s questions and never give misleading answers. If you aren’t able to resolve some of their queries, politely assure them it will addressed later. Q&A is a great moment where you can demonstrate your product expertise and further gel with the prospect. For preparation, check point #2 and spend time anticipating queries and drafting possible responses. If you follow the above, the result will be an awesome demo which will leave the prospect with no choice, but to give a standing ovation and be eager to partner with you for their solutions.